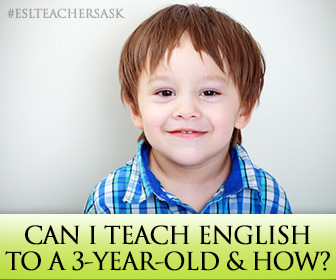 ESL Teachers Ask: Can I Teach English to a 3-year-old and How? Can I Teach English to a 3-year-old and How? I was once faced with this same exact situation. They are typically very curious and learn by exploring, often with the use of all of their senses. As far as memory goes, they may recall events from the previous day and as many as three objects that are presented visually. They also identify what’s missing from a picture. They speak in short sentences (4 to 6 words). They use personal pronouns correctly. They have a vocabulary of around 300 words. They listen to short stories and are able to follow instructions. They are able to describe action in pictures. They are good at naming and labeling. And this is just the tip of the iceberg. Three-year-olds are able to do a great deal in an ESL class. So don’t be discouraged by the fact that they can’t read or write. This is a stage in their development where language develops by leaps and bounds. What did I tell my young student’s mother? There’s plenty of English she can learn! And here’s how you can teach a 3-year-old. Very young children have very short attention spans, so each activity should take no more than 5 to 10 minutes. This means that you’ll have to prepare a greater number of tasks and games, and quickly move from one to the next. This is the best way to keep them engaged; if you don’t, they’ll get restless. Try to introduce new words three at a time. They will probably have a hard time remembering more than that. 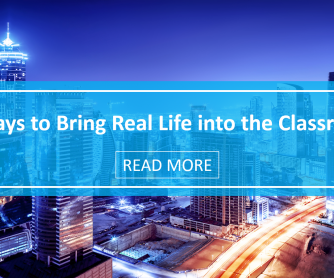 The best way to engage their attention is visually. So make sure you use images, illustrations, flashcards and even real objects – realia boosts learning in little ones because they have the chance to touch and interact with the objects. 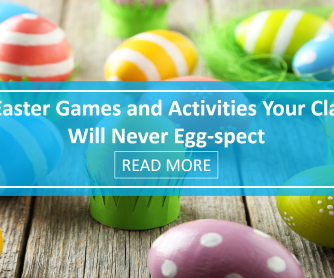 If you have a list of 5-minute activities lined up, make sure they’re not all sitting down. Follow up a quiet, drawing activity with a rousing song. Then, play a card game, followed by a TPR activity. Preschoolers need to be engaged on different levels but also need quiet activities to bring their energy down a notch. Make sure you constantly reuse the vocabulary you’ve taught them, or they’ll most likely forget it. Plan weekly and monthly reviews, as well as consolidation activities to aid in retention. Preschoolers may only give you one word answers at first; try to focus on improving comprehension rather than fluency. They might not even be talkative in their own language. They are able to understand a whole lot more than what they can produce verbally. Games are perfect for very young learners who can’t read or write. But don’t make them too competitive, i.e., make sure that everyone’s a winner, and there are no losers. Don’t play a game for too long because they will lose interest. If you have a private student, some great games to play are card games like Go Fish or a Memory Game. Preschoolers may be able to follow simple instructions, but for tasks that involve a series of steps, like a crafts activity, try to model what they should do step by step. Try to organize lessons based on themes, like “About Me”, “Foods” or “Animals”. It helps keep the content organized and gives the lesson a backbone. Students may be too young to understand learning goals, but they’ll get the idea that they’re not just there to play and have fun. They’re learning a lot! 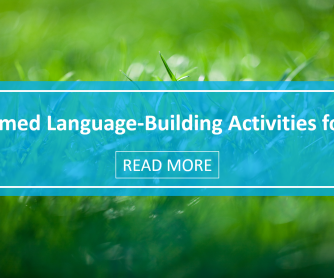 Should we speak the children’s native language in the ESL classroom? 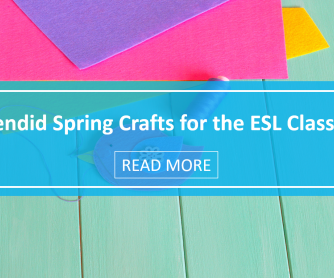 This is a big debate in ESL classrooms with students of all ages and levels. But let me tell you my experience with very young learners. The younger an ESL student is, the more accepting they will be of your speaking only English. And they will question you less. You can teach entire songs in English and none of them will ask you what each word means. They accept the song as a whole. The same goes for instructions, greetings and set phrases. So I strongly recommend trying to speak English for the duration of the class, and making only a few exceptions, for example, when a student is crying/upset/feeling sick/doesn’t understand. Teaching preschoolers may seem like a daunting task. But it is well worth the effort. Young children really bond with their ESL teachers, and you’ll share moments with them that you’ll treasure for years to come. 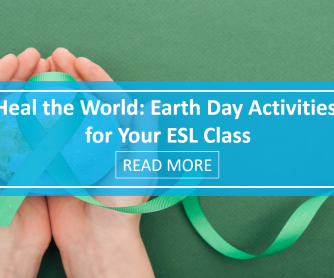 * This question was sent in from a real ESL teacher, just like you! Have a question of your own? Feel free to share it in the comments below. Or tweet your question to @busyteacher_org with the hashtag #ESLTeachersAsk. Your question might get picked and featured in an article! Should I Play Games with Adult Learners? How Do I Give an Open Lesson with Parents? Fallow Land or Fertile (Kinder)garden?